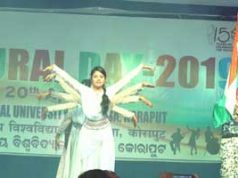 Koraput: Nandanik, a theatre group based in Koraput, Odisha observed the National Street Theatre Day today at Koraput by organizing a “Workshop on Street Theatre”. The members of Nandanik took part in the workshop where sessions were taken on open space acting, voice modulation and use of body language. After the workshop the participants performed a self improvised street drama. 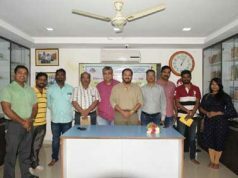 Prof Sourav Gupta, an eminent theatre director and an exponent of open space theatre was the principal resource person in the workshop. The programme was coordinated by Saumendra Kumar Swain and Tanuja Pati. 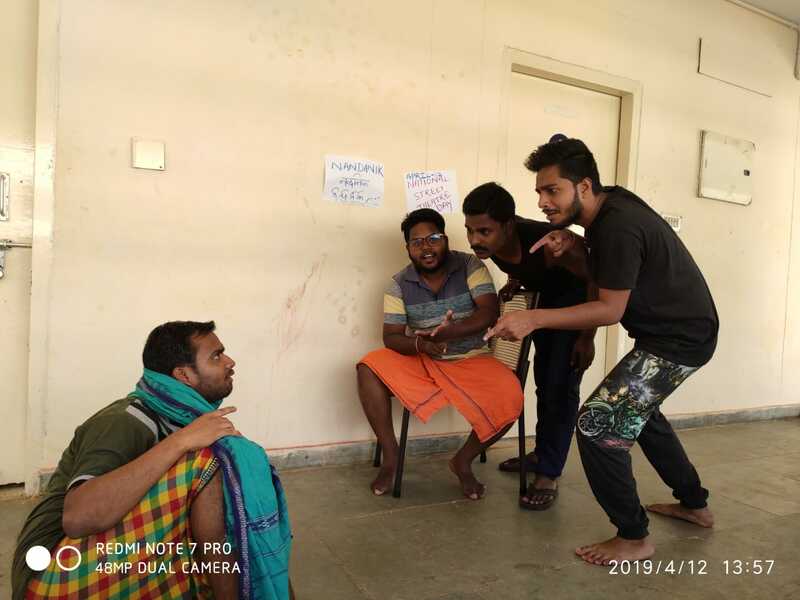 “We perceive mancha nataka or proscenium as theatre but today we learned that street theatre has a very different flavour and aesthetics”, said Abinash Pani, one of the participants. “We, at Nandanik, regularly organize workshops as it is a great way of learning theatre. 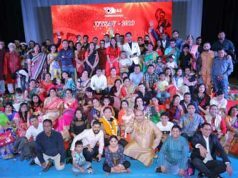 Specially in places like Koraput, where there are no proper theatre auditorium, street theatre can be a great medium”, said Monideepa Gupta, secretary of Nandanik. The National Theatre Day is observed by theatre workers all over India in memory of theatre martyr Safdar Hashmi, who was murdered during a street theatre performance.